Christopher Bassford, CLAUSEWITZ IN ENGLISH. Chapter 22. Is it possible to see any particular or distinctive patterns in the development of Clausewitz studies in English over the period between 1815 and 1945? How does reviewing the historical reception of Clausewitz contribute to an understanding of his theories and of his significance as a military theorist? Are there any larger lessons to be derived concerning the value of military theory or the manner in which military concepts are transmitted and received? It is certainly possible to find some patterns in the Anglo-American study of Clausewitz between 1815 and 1945. For example, Clausewitz's admirers were generally military reformers, or at least persons seriously dissatisfied with the status quo in their national military institutions. In itself, this is hardly surprising: Anyone dedicated enough to read On War is likely to be dissatisfied with any status quo. With the exception of the duke of Wellington, however, whose interest in Clausewitz's work on the campaigns of 1812 and 1815 was essentially personal in nature, almost all the nineteenth-century Britons who commented on the philosopher were social reformers as well. The anonymous 1835 reviewer, John Mitchell, Charles Chesney, John Frederick Maurice, J.J. Graham, and Spenser Wilkinson all called energetically for social reform in the army. Some of them had a great deal of influence (Maurice, Wilkinson), some of them very little (Mitchell, Graham). As individuals, Clausewitz's serious readers have often been "maverick" personalities, except during those rare periods—generally brought on by severe military embarrassments—when military reform was in fashion. That this should be so is also perhaps to be expected: The tendency toward philosophical hairsplitting necessary in the application of Clausewitz's methods is rather alien to the spirit of military organizational culture. In the twentieth century the social reform component seems to drop out, perhaps because the reforms of late Victorian Britain and the triumph of nationalism throughout the West made the "popular" elements of Clausewitz's thought less controversial. The more narrowly military reform element remained. Clausewitz temporarily entered the British mainstream after the Boer War, a period of major military reform, but lost popularity during the interwar era of retrenchment. Nonetheless, the most vociferous British military reformers of the interwar era, Fuller and Liddell Hart, were both very much aware of Clausewitz and to some degree influenced by him; Fuller eventually acknowledged this and became a proponent of the philosopher's ideas. Because they persisted in connecting Clausewitz to the errors of the Great War that they wished to extirpate, it was difficult for them to tie him into their reform arguments. More than anything else, however, it was these two men's egotistical reluctance to be "followers" of anyone else that led them to reject Clausewitz in public. Less egocentric thinkers like Frederick Maurice's son Frederick Barton Maurice and Cyril Falls made no bones about acknowledging the Prussian thinker's influence, although they were also less clearly "reformers." This pattern continued in America with many peculiarities. Robert M. Johnston and Hoffman Nickerson were certainly maverick personalities, and military reformers in a technical sense. Their social ideas, however, were not terribly progressive, and they were not attracted by Clausewitz's stance on popular warfare. John McAuley Palmer fits the reform pattern much better with his suspicion of the officer corps as a class and his vision of a "citizen army." His willingness to flaunt the official army line after World War One also marks him as a maverick. One should not push this pattern too far. The German expatriates who did so much to advance Clausewitz studies in America were, by definition, social outcasts from their own country, but this was usually less a function of personality than of ethnicity. With the exception of the highly individualistic Alfred Vagts, their social views are not prominent in their discussions of the philosopher. The U.S. Army's most important Clausewitzian, Dwight Eisenhower, cannot be characterized as either a reformer or a maverick. True, his progressive 1920 article on tank warfare angered his infantry superiors and jeopardized his career. This might be taken as a sign of reformist inclinations, but it can be more easily called a misstep in the career of a quintessential (and extremely shrewd) organization man. Eisenhower, however, was a practitioner, rather than a commentator like most of the other subjects of this study. There are some other common and distinct patterns in the British and American reception of Clausewitz. Both British and American military writers were more likely to consume ink in discussions of the morality of war or military policy than were their German counterparts. Clausewitz himself largely ignored the issue, and his brief discussion of "moderation" in war was easily (and frequently) misconstrued as a lack of ethical concern or as an actual incitement to atrocity. Nonetheless, Anglo-Saxon writers were much more likely than Frenchmen or Germans to find a moral (i.e., ethical) imperative in Clausewitz's message. Nickerson's rejection of "Douhetism" and Cyril Falls's concern with the "barbarization of war" are relevant examples. One of Wilkinson's major concerns was the strategic value of the moral high ground. He argued that policy must be morally defensible if it is to be expected to win popular support, and public opinion was one of Clausewitz's major objectives in war. Other Clausewitzians—Oliver Prescott Robinson, for example—made the same argument. One of the most prominent of modern American military historians, Russell F. Weigley, perhaps typifies the opposing view. Weigley, discussed at points throughout this book, long exhibited blind spots when dealing with the Prussian philosopher of war. At first apparently under the spell of Liddell Hart's interpretation, he briefly adopted a consciously Clausewitzian approach during the early 1970s. Over the long haul, however, and despite a good understanding of some elements of On War, Weigley consistently attacked what he considered to be Clausewitz's main thesis, that war is "a mere continuation of policy." He persistently accepted the translation of Politik as "policy"—ignoring the fundamental difference between "policy" and "politics"—and interpreted Clausewitz's famous description of war as a pure prescription leading to a disastrous routinization of aggression. He noted, correctly enough, that the political ascendency of military leaders always tends to grow in proportion to the severity of a military crisis and complained that the civilian leadership "tends to sacrifice policy to the exigencies of war. "(*1) But Weigley seemed not to grasp that individual leaders and individual states are unable to control the domestic and international political environment in which they operate (i.e., what Clausewitz called the "spirit of the age") or that governments do not conceive their policies "rationally" in blithe indifference to one another's actions. As a historian, Weigley committed a sin that Clausewitz roundly condemned: He let his own fundamental decency and horror of war distort his perception of the dynamics of social interaction, of which war is a typical manifestation. A concern like Weigley's over the morality of war is probably the most distinctive single element in the Anglo-Saxon interpretation of On War before 1945. It can be found in both On War's proponents, who—like Wilkinson, Falls, and Nickerson—saw an (implied) positive moral message in it, and its opponents, who did not. The positive moral interpretation was largely forgotten, however, in the age when nuclear weapons made "thinking the unthinkable" a dominant feature of Anglo-American strategic thought. A more detached—not to say amoral—interpretation of Clausewitz became the norm in the English-speaking world as in the German, driven in part by the circumstances of the Cold War, in part by the influence of German expatriates, and in part by Clausewitz's own style of expression. Both British and American theorists were more likely to accept Clausewitz's assessment of the dynamic relationship between the attack and the defense than were German military writers. (As theorists, Caemmerer and Ritter von Leeb were exceptions, but the German army often showed in practice a remarkable appreciation for the underlying truth, at the tactical and operational levels if not the strategic.) Neither the British nor the American armies, as institutions, were able to do the same, persistently misunderstanding the point and determined to produce an all-purpose and offensive doctrinal prescription. Nonetheless, the British army's pre-World War One internal debate on this point seems to have been more lively than the German army's. On another and related point, both British and American writers were more likely than Germans to be sensitive to the essentially conservative balance-of-power views expressed in On War. This sensitivity derived from their moral concerns, from their greater willingness to accept a balanced view of the defense, and from the realities of coalition warfare against a formidable and aggressive Germany. The balance-of-power factor was stressed in the first "American" translation of Vom Kriege, admittedly the product of a German expatriate, but one whose familiarity with Clausewitz and whose motive for writing were rooted in an American context. F.B. Maurice and H. Rowan-Robinson also connected Clausewitz to their balance-of-power discussions. There is, of course, a significant element of predisposition in this: The Anglo-Saxon powers have always been great manipulators of the balance of power in pursuit of their own ends. There is no such continuity between the British and the Americans on another important aspect of Clausewitz's thought. The British never showed any propensity for rejecting Clausewitz's connection between war and politics (although it was a focus of their suspicions of Germany). They were not much interested in this aspect of On War in the nineteenth century, largely because—as Wellington's remarks show—they were quite aware of the connection. Further, the British tradition of military subordination to the civil power, which dates back at least to the upheavals of the seventeenth century, made most unlikely the kind of opposition to this idea that surfaced in Germany. Such opposition as did surface in Britain was generally based on a contrary consideration, the reluctance of soldiers to intrude on the prerogatives of politicians. British soldiers accepted—if often morosely, like G.F.R. Henderson—that politics was indeed going to influence strategy no matter how this might derange military operations. The experience of World War One, and possibly a reading of On War, certainly influenced British soldiers like William Robertson to seek a more balanced interaction between military and political leaders, but the principle that policy and politicians guide strategy was seldom questioned. In America, professional soldiers bitterly resisted the idea that politics had any relevance to military strategy or operations. Even the undeniably political nature of the Civil War—especially Lincoln's war policies and Grant's and Sherman's loyal execution of them—failed to win the officer corps's concession on this theoretical point. In practice, the principle of civilian control nevertheless prevailed, probably owing to the Anglo-American constitutional tradition and the force of George Washington's example. McClellan, despite his contempt for Lincoln and for politicians in general, attempted no coup d'etat. In Britain the contest was between Crown and Parliament. It was not resolved until 1904 (when the last commander of the army was replaced by a chief of the general staff). The first widespread adoption of Clausewitz in Britain coincided perfectly with the professionalization of the British army. In America, the much more mature attitude toward politics and war that has been evidenced by the U.S. military since Vietnam, and the faith in Clausewitz evidenced in Harry Summers's semiofficial work and in the 1984 Weinberger Doctrine, correlates well with Huntington's description of the professional military ethic. The same period has seen the official adoption of Clausewitz as a guiding light in most of the American armed services. The sources of American soldiers' long-standing failure to accept the political implications of war are hard to determine; it is always difficult to account for a nonevent. Possibly the "total" nature of America's great wars, in which political and military goals were essentially compatible, made them overlook the impact of political guidance on strategy. Or perhaps they failed to appreciate the intrinsic connections between "policy," the influence of which they accepted, and "politics," a term they associated with partisanship, discord, and corruption. Conversely, perhaps it was the social and political insecurity of the army that made its officers so vociferously resentful of politicians. The long persistence of the "militia myth" made career officers instinctively suspicious of any proponent of popular warfare. Perhaps, as John M. Palmer implied, they simply never gave much thought to the political sphere, out of complacency, naiveté, a very narrow view of "professionalism," or simple anti-intellectualism. The "Prussianism" of the American army, which one might date back to Steuben but which was certainly evident after 1870, might also be a factor. The American navy, more British in its traditions, produced in A.T. Mahan a theorist who argued that "diplomacy" (i.e., external politics) drove naval policy in both peace and war. Mahan evinced no great interest in Clausewitz, but neither did he see any great contradictions between their views. The interwar American naval theorist George Meyers had no problem in reconciling Mahan and Clausewitz, and the very experience of navy men in accepting one set of theories may have made them more willing to consider another. Among Anglo-Saxon soldiers, however, such willingness was generally rare. What were the sources of the frequently noted Anglo-Saxon aversion to military theory? Azar Gat finds it in the Enlightenment tradition (of which Jomini was a representative), as opposed to that of the German Aufklärung and the various philosophical currents that underlay Clausewitz's own writing. Others would find it in such nebulous concepts as "national character" or the "military mind" (what Liddell Hart called its "essential concreteness"). 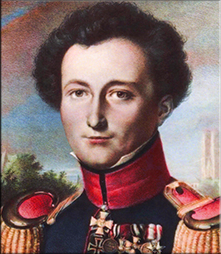 The fact that many of Clausewitz's key concepts were ignored or rejected even in Germany and that a number of British military writers demonstrated an intelligent grasp of the arguments in On War—demonstrated, in fact, a greater willingness to accept important ideas like the subordination of military to political considerations, the power of the defense and, especially in Corbett's case, the possibility of limited war—tends to cast doubt on all these theories. In this connection, we might consider the nonlinear characteristics of Clausewitz's thought. These infuriated would-be "scientists" of war like the young Fuller. On War might indeed have puzzled generations of Liddell Hart's "essentially concrete-minded soldiers" if they were in fact seeking concrete doctrinal guidance. On the other hand, such soldiers were probably equally befuddled by Fuller's attempts to provide a "scientific" (i.e., linear) theory of war, and his occasional escape from the scientific approach took the even more unacceptable form of mysticism. Britain's soldiers, particularly in the Victorian period, had more practical experience of war than just about anyone. This experience was gained generally in colonial or imperialist wars which varied wildly in their character and conduct, both from one another and from continental conflicts. Most British soldiers thus seem to have grasped intuitively that a linear approach—with which they naturally identified the word "theory"—was inappropriate, rendering it suspect or worse. Wellington's comments (via Ellesmere) on the "pompous charlatanerie" of Jomini typify this attitude. Such skepticism may seem reprehensible—a symptom of mere anti-intellectualism—when directed toward On War, but it seems more perceptive and laudable when directed at the work of most other theorists. The key factor among uniformed military thinkers may have been a matter of military professionalism, as Huntington suggested. The Germans produced in the elder Moltke a powerful, self-professed Clausewitzian, but the Moltkean tradition stands opposed to Clausewitz in crucial respects. Despite the vaunted but narrow professional competence of the German officer corps, the German army tended to represent a social class rather than the nation. It thus failed Huntington's key test of professionalism. Many of Germany's strategic errors were the result. The slow professionalization of the British—and even more so the American—officer corps was due to more complex factors and had different consequences. The British produced no Moltke, much to their own frequently expressed regret, but important elements of the British military leadership were equally progressive. The "Wolseley ring," for instance, was an intelligent, energetic, and reformist clique, and in its key theorist Frederick Maurice we find an important Clausewitzian influence. Many of the most important British military writers of the pre-World War One era, including G.F.R. Henderson, Julian Corbett, and Spenser Wilkinson, were heavily influenced by Clausewitz, although few of them drew great attention to the fact. One might argue, in fact, that many of Clausewitz's ideas were received more favorably in pre-World War One Britain than in Germany: It was simply not in the Anglo-Saxon writers' character to express obeisance to a single dominating theorist, regardless of how much they may have found useful or intriguing in his writings. The German military writers, on the other hand, were quick to express their adoration of "the master" (as Goltz and Bernhardi, among others, were wont to call Clausewitz), regardless of how much of his argument they preferred quietly to ignore. Thus, what was lacking in British military literature was largely the self-consciously "Clausewitzian" terminology to which German writers were addicted. The use of this terminology was not unimportant. It meant that bits and pieces of Clausewitz's ideas and method were transmitted much further via German writers than by British. In terms of the direct transmission of certain key ideas, however, the most influential British military thinkers were generally more receptive. Both the Chichele chair at Oxford and the key post of Times military correspondent have generally been held by writers intensely aware of Clausewitz and, with the questionable exception of Liddell Hart, heavily influenced by him. In any case, it is much easier to attribute British and American military failings and German successes (and vice versa) to factors external to the armies themselves rather than to any failings in the area of military theory. The peacetime dispersion, penury, small mobilization bases of the Anglo-Saxon armies of between 1815 and 1945, and the lack of military sophistication among the political classes do much more to explain their wartime behavior than does any alleged intellectual poverty among soldiers. Even less answerable is another question: Was the Anglo-Saxon aversion to theory a good thing or not? In practice, the German tendency toward what Rosinski in a laudatory tone called "systematic thinking" resulted in a rigid political logic that drove the German nation to destruction. (One could argue endlessly whether that logic was Clausewitz's, depending on whether one emphasizes its rational or its romantic aspects.) The more pragmatic, empirical—or, to be more pejorative, the bumbling, "muddling-through"—Anglo-Saxon approach has paid greater dividends in the long run. The implications of this argument are somewhat elusive. Perhaps we should take into account Clausewitz's discussion of war as an art or a science. Tactics is largely in the realm of science; what Clausewitz called "strategy" (and we call "operations") is in the province of art. The German military thinkers' conscious military intellectualism, their propensity for "systematic thought," thus may account for their widely conceded excellence at the tactical and operational levels of war. War as a whole, however, falls within the domain of neither art nor science. The nearer we come to the level of policy, the more the essentially social character—the political logic—of war asserts itself. Clearly, the strategic success of the Anglo-Saxons has not been derived from the study of Clausewitz (which is not to say that it would not help). Rather, their success has been to a large degree conditioned by the fact that their historical evolution created institutions that simply assumed, without the need for a great deal of conscious thought, the supremacy of political over military considerations and the dangers inherent in resorting to violence in pursuit of policy. Further, by their nature, democratic institutions breed a feel for the workings of the balance of power; monarchies and dictatorships cannot be expected to excel at integrating competing domestic concerns, at building coalitions, and at combining strategies. That the Anglo-Saxon powers should be consistently superior at the level of state policy and grand strategy is thus not too surprising. In the terms of Clausewitz's discussion of military genius, what we have here is the triumph of character over intellect. Insofar as this is a study in the transmission of ideas, however, perhaps the greatest lesson to be found in this survey of the Anglo-American reception of Clausewitz is the prosaic one that it helps to actually read a book before embracing or rejecting its argument and that other writers' summaries—including, it should be noted again, the one included in this book—are not a trustworthy basis for judgment. Another lesson that is probably uncomfortable to intellectuals, who like to imagine that their books can alter the pattern of human events, is that complex ideas do not easily make the jump from one mind to another, no matter how carefully or eloquently expressed. It cannot be demonstrated that any of the writers discussed in this study ever changed course merely because of reading the most brilliant of all writers on war. In many cases, the lessons they drew from Clausewitz were obviously lessons to which they were already predisposed. For example, John Mitchell had clearly formulated his reform program before he found in Clausewitz a theoretical justification for it. The pedagogical ideas that the elder Frederick Maurice derived from Clausewitz were highly compatible with those of his educational reformer father. Liddell Hart saw confirmed those ideas on the power of the defense that he drew from his experience in World War One. Eisenhower's attitude toward ends and means is as clear in his fiscal as in his military policies. Writers with views as diametrically opposite as John M. Palmer's and Hoffmann Nickerson's could express them in Clausewitzian terms. At best, a reading of On War has enabled Clausewitz's students to interpret the lessons of their own experiences: William Robertson's turnaround on the issue of civil-military relations is a useful example. To say that readers accept (or even perceive) only what they are able to recognize as restatements of their own views or experiences is almost certainly going too far, but not by much. On War is often less a window into reality than a mirror for its reader, perhaps necessarily so. This has been my own experience with it. When I first read it as an undergraduate at the College of William and Mary, it was the abstract discussion of "absolute war" and the idea of war as a rational continuation of policy that seemed to me to be its essence. When I read it during my military service, it was the discussion of friction, chance, and moral factors that most struck me. Today, when I work as a historian, it is Clausewitz's historicist philosophy that provides the key to understanding. Every time I have read it, it has seemed a different book, but it is only myself who has changed. Thus it is little wonder that survivors of the trench warfare of 1914-18 saw their experiences in On War's pages, just as Vietnam veterans tend to see in it a textbook on what went wrong in their war. That this is the case would not have surprised Clausewitz, who insisted that personal experience was essential to any understanding of the phenomenon of war. On the other hand, most soldiers and military analysts have accepted On War as a self-contained philosophy of war, often impervious even to its own internal contradictions. Many assumed that the "Instruction for the Crown Prince" was a mere summary of the larger and later work. In any case most have tended to read both books without considering their original historical context, as when Fuller among others blithely assumed that Clausewitz sought to represent the ideas of Napoleon. As a further depressant for would-be theorists, it seems that although On War was well enough understood by those who read it for themselves, its author's ideas rarely survived repeated retransmission. Progressively simplified and modified by friend and foe alike, his subtle descriptive dualities became brutally simple prescriptions. Even otherwise sophisticated historians have often interpreted Clausewitz in narrowly tactical or strategic terms, seeking to find his influence in adherence to some allegedly "Clausewitzian" prescription. As a result, they have found his influence where there was none and missed it where there was. Thus Clausewitz's reputation mutated effortlessly from that of the "apostle of total war" into that of "the preeminent military and political strategist of limited war in modern times." His most clever formulations were most easily turned on their heads, usually not by writers working directly from a reading of On War, but by those deriving their knowledge at second hand. Ironically, all of this goes to confirm one of the most basic of Clausewitz's historicist ideas, that the nature of war is determined by a complex of social forces, by the "spirit of the age," rather than by the conscious desires of individual actors or theorists. These lessons certainly do not mean (as many academics and soldiers have privately complained to me) that Clausewitz's theories are valueless because they are so endlessly flexible. (*7) The record of Clausewitz's historical reception and rejection clearly indicates the value of his descriptive approach to war, history, and military theory. It demonstrates as well the dangers of attempting to apply military theory prescriptively in predicting the nature of the next war, as Goltz did before the First World War and Liddell Hart did before the Second. Like the finest tools available to artists, scientists, or soldiers, the product of a Clausewitzian approach is very much dependent on the peculiarities of the mind that wields it. However the predispositions of the reader may affect his or her view of war, the lens offered by Clausewitz provides for a much more distinct vision. One question that we need to ask is simply, Is military theory really very useful? (*8) Obviously, the great bulk of military theory that has been promulgated over the ages has been of very limited value. Although it has served the indispensable purpose of transmitting basic military concepts and knowledge to generations of soldiers (who, owing to the very nature of the profession, can have only a very limited base of practical experience), it has also led in practice to many rigidities and absurdities. Even the most sophisticated and useful theory (which is to say Clausewitz's) serves at best to define the bases for debate and is easily manipulated to serve prescriptive functions alien to its descriptive nature. If military theory does in fact have any great utility, the next question must be, For whom? Scholars? Politicians? Writers of military doctrine? Soldiers themselves? It was Clausewitz's great goal—and to some extent his achievement—to bridge the gap between theory and practice. Unfortunately, his work has often fallen into the crack it sought to span, perceived as being too concrete and pragmatic for the intellectual, too complex and ambiguous for the active politician, and too ethereal for the practical soldier. Too many people on all sides of the chasm have simply failed to read On War. (*9) More fundamentally, the gap represents a real dichotomy between the values and perceptions of scholars and soldiers, and their sometimes well-founded suspicions of one another. Perhaps inevitably, perhaps as the result of correctable failings in their education, practical soldiers and, to a similar extent, political scientists like Lebow, tend to lack the broad historical understanding needed to internalize Clausewitz's historicist argument and to distinguish the practical utility of his concepts and method. Clausewitz himself was skeptical of the role of theory in forming the character of military leaders, although he hoped it could educate their judgment, and On War's intended audience is unclear. Clausewitz wrote essentially for the "military analyst." In practice, that probably means staff officers and military historians rather than commanders. Certainly, the historian's work benefits from Clausewitz's descriptive theory. The individual historian is almost inherently more flexible, creative, and consistent than any committee of military textbook writers, and is much more likely to study Clausewitz's work in its historical context. Good historical writings benefit both the soldier and the policymaker. However, the most sophisticated attempts to apply the lessons of On War have generally been made by historical scholars with both political and military connections (Corbett, Wilkinson) who were thus able to temper their contemporary-oriented ideas with both the historian's long-range perspective and some understanding of political and military organizational realities. Driven by transient concerns and the ever-evolving spirit of their own times, most give in to their own creative urges and expand, modify, and even recast them wholesale, rejecting certain aspects of On War and promoting their own views. There is nothing intrinsically wrong with this. Indeed, it is inherent and vital to the intellectual process, and most of the writers we have examined were quite honest about what they were doing. It appears, however, that many of their readers have been unable to derive from the resulting amalgam much sense of Clausewitz's original argument. This is just as true for scholars as for soldiers; political scientists and historians who have experienced Clausewitz only through the eyes of Bernard Brodie or Robert Osgood express images of him just as skewed as those expressed by soldiers who have experienced him only through the eyes of Colmar von der Goltz. And that original argument is very important, not only for its own sake but because of the role Clausewitz's theories have come to play in the American national security community. On War gave shape to the most important formulations of the final "lessons learned" from the Vietnam experience, as expressed in Harry Summers's work and in the Weinberger Doctrine. The impressive "jointness" with which the American armed forces and connected agencies waged the Persian Gulf War in 1990-1991 can be traced to a significant, if unquantifiable, extent to the common conceptual base that this study has engendered. Clausewitz has provided the intellectual common ground that formal doctrine has always sought but—because of its unavoidably narrow focus, single-service orientation, and prescriptive intent—failed to provide. The value of that common ground lies in the very flexibility of Clausewitzian theory that many have found so frustrating: It provides a common set of concepts and intellectual tools that greatly facilitate analysis and discussion while leaving the conclusions to be reached as open as ever to creativity and to differing goals and points of view. It is probably necessary, therefore, that military leaders be schooled directly in the works of Clausewitz. Otherwise, that vital common ground will be eroded as secondary and derivative treatments, as always, drift further and further from the original and from each other. It is certainly outside the scope of this book to do more than to raise such fundamental and practical issues of military education. They are nonetheless questions that inexorably arise from any contemplation of Clausewitz's reception in Great Britain and in the United States. 1. Weigley, "Military Strategy and Civilian Leadership." 2. Russell F. Weigley, The Age of Battles: The Quest for Decisive Warfare from Breitenfeld to Waterloo (Bloomington: Indiana University Press, 1991), 543; interview, Quantico, VA, 9 September 1992. 3. Truman closely supervised the preparation of his memoirs, and thus the rather interesting reference to Clausewitz therein may represent some actual familiarity on his part. The context was not MacArthur and Korea, but the subject was the political control of war. Memoirs by Harry S. Truman, v.1, Year of Decisions (New York: Doubleday, 1955), 210. 4. See Raymond B. Furlong [Lieutenant General, USAF and Commander, Air University], "Strategymaking for the 1980's," Parameters, March 1979, 9-16; "On War, Political Objectives, and Military Strategy," Parameters, December 1983. 5. Huntington, Soldier and the State, Chapter 2. 6. Gat, Origins of Military Thought, 169-170. 7. A point also made frequently in print. See for example Joseph Caldwell Wylie [Rear Admiral, USN], Military Strategy: A General Theory of Power Control (New Brunswick, NJ: Rutgers, 1967), 53. 8. On this topic, see Ian Clark, Waging War: A Philosophical Introduction (Oxford: Clarendon Press, 1988), somewhat inevitably an inconclusive exploration. 9. It is impossible, of course, to draw a truly accurate picture of Clausewitz's readership. People like William Sloane of Rutger's University Press, Robert Hutchins (president of the University of Chicago), and possibly George Orwell, Nathaniel Wright Stephenson, and Carl Sandburg seem to have had some familiarity with his work. They might be total aberrations or the tip of some significant iceberg. 10. The recent Clausewitz-fad in U.S. military doctrine instills little confidence that Clausewitzian theory can easily and directly make the transition from description to prescription without suffering in the process the usual absurdities and rigidities. One example, certainly absurd from the historian's viewpoint: "One can argue that this campaign [Portugal, 1810] was fought between a Clausewitzian (Massena) and a follower of Sun Tzu (Wellington)." Syllabus, "The Historical Practice of Operational Art," School of Advanced Military Studies, Fort Leavenworth, AY 1988/89, p4-4-1.